The Eli I - Whiskey hat worn by Pierce Brosnan as, Eli McCullough, in AMC's series, The Son. 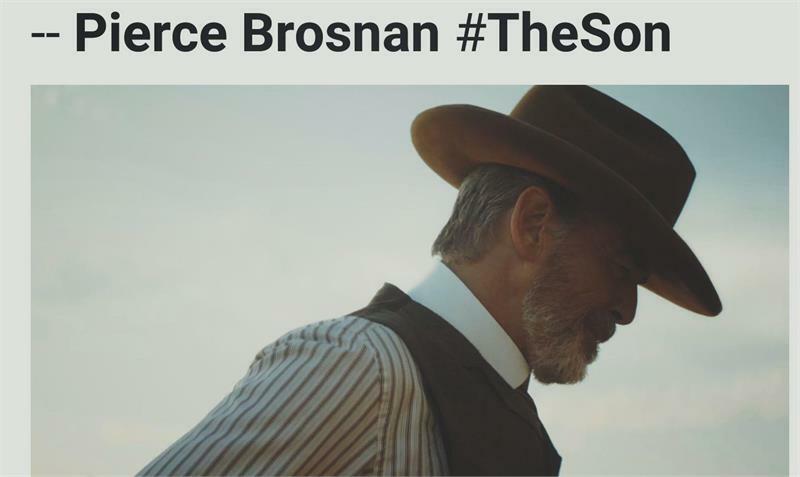 All of Mr. Brosnan's hats for The Son, were 100% Beaver Fur Felt. Alejandra is the hat we made for Penelope Cruz, as Alejandra Villarreal, in "All the Pretty Horses. 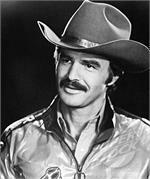 The RCA was the style chosen by Manny Gammage, for Burt Reynolds, as Bandit, in the cult classic "Smokey and the Bandit" and the sequels. The image of Bandit is a screen shot, as we did not receive an autographed photo of him in these hats. 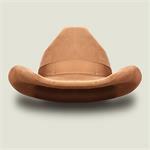 This is the same style as one of the hats Manny custom made for his friend and customer, Burt Reynolds. Shown in silver-belly with a ribbon band. Also the same style worn by Ronnie Van Zant on the British television show, "The Old Grey Whistle Test". The Capt. 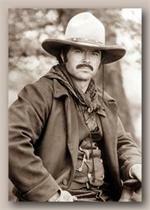 Call was originally made by Manny Gammage, for Tommy Lee Jones, in Lonesome Dove. 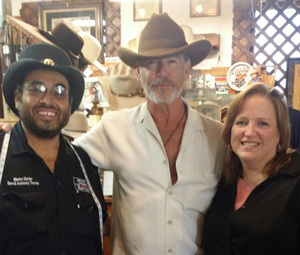 The Eli I - Whiskey hat worn by Pierce Brosnan as, Eli McCullough, in AMC's series, The Son. The Eli II - Granite gray hat worn by Pierce Brosnan as, Eli McCullough, in AMC's series, The Son. 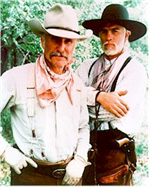 The True Original Gus Hat, as seen in the photo of Robert Duvall, autographed to Manny. 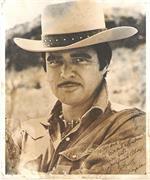 Manny designed the hat for Robert Urich, as Jake Spoon in Lonesome Dove. 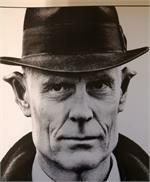 Because of this hat, Mr. Urich returned to Texas Hatters for several of his other projects, as well as personal hats for himself and his wife. John Grady is the hat we made for Matt Damon, as John Grady Cole, in "All the Pretty Horses"
This style was custom designed, by Joella, for the character, Moloch, in the movie "Watchmen", with specs given by the novel's creator and the costume designer. 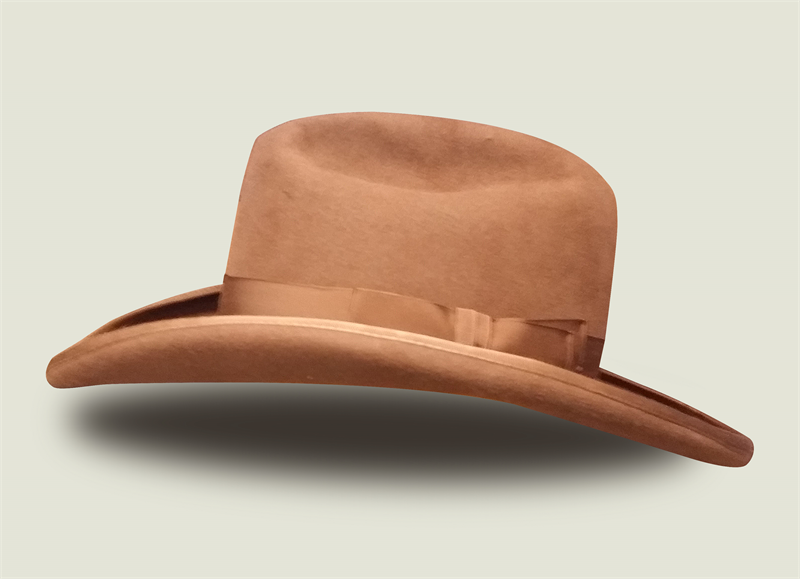 Phineas McCullough's dress hat, worn by David Wilson Barnes in the AMC series, The Son. Rawlins is the hat we made for Henry Thomas, as Lacey Rawlins in "All the Pretty Horses"
This style was custom designed, by Joella, for the character, Rorschach, in the movie "Watchmen", with specs given by the novel's creator and the costume designer. 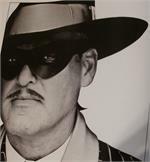 This style was custom designed, by Joella, for "The Villain", in the movie "Watchmen", with specs given by the novel's creator and the costume designer.